Are you confused by the overwhelming selection of outdoor lighting? Have you tried the do-it-yourself route and ended up with a mess of lights? Outdoor lighting is an art. It takes experience and talent to know where to position lights, what type and style of lights to choose for each area, and how to ensure your home or property not only looks stunning at night, but is safe and secure. That’s why it’s best to leave your outdoor, commercial, and landscape lighting projects to us – Dusk to Dawn Outdoor Lighting. We serve the greater St. Louis area with beautiful lighting designs, high-quality products, installation, and excellent customer service that’s second-to-none. At Dusk to Dawn, our designers do things a little differently; we make designing your perfect oasis fun and exciting and we do it together. Using your vision and our expertise, we illuminate the shadows from your walkways, garden areas, decks, fire pits, pools, and pathways so they remain functional and beautiful when the sun goes down. We also focus on safety to prevent tripping and slipping hazards, and consider security to discourage criminals. We use only the highest quality lighting fixtures and LED lights for style, continuity, long-life, and energy efficiency. 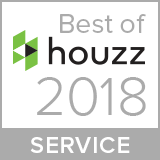 We have a complimentary, no-obligation, thorough consultation and proposal, and make sure our design recommendations and installations fit your home, business, or property, and the lifestyle of your dreams. 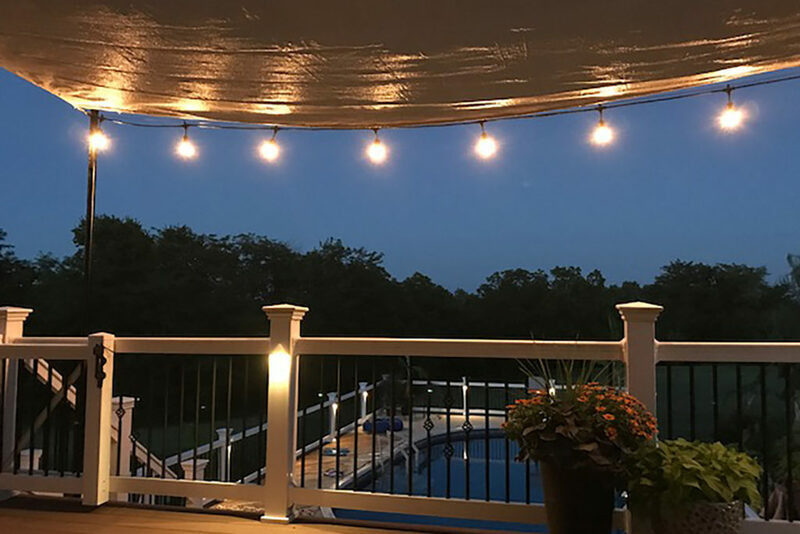 Take a look at a few of the lighting styles below that we use to give you an outdoor area that feels like an extension of your living space. Crosslighting – two or more lights shine around and across an object, creating a focal point that highlights a structure. These lights can shine on objects, statues, gazebos, and unique foliage around your property. Crosslighting draws attention to an object while providing a strong light source. Downlighting/Moonlighting – this lighting emits a soft glow that bathes the ground in a dappled shadow, casting patterns on the ground from the eaves and peaks of your home. 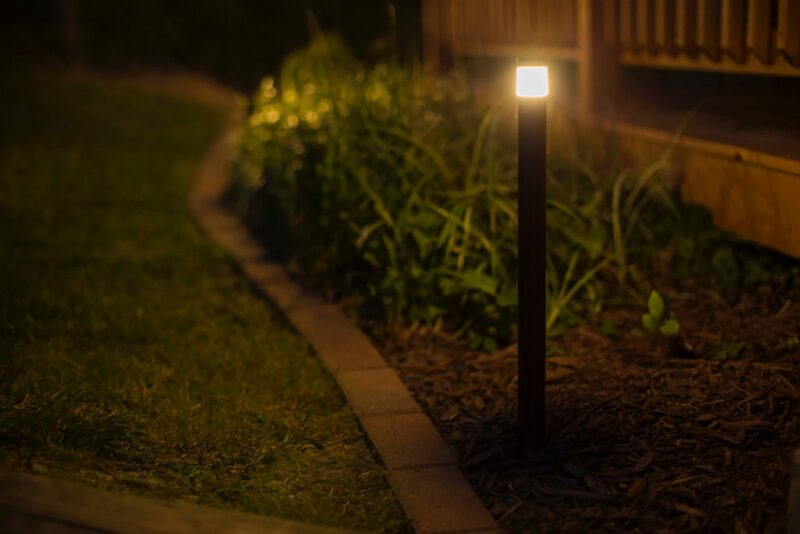 It simulates the appearance of moonlight and is widely used for softly lighting yards, pathways, driveways, outdoor living areas, and gardenscapes. Mirror Lighting – placed near water or a reflective surface, this special lighting creates a reflection of foliage or statuary. When done properly, there should be an identical replication of the object highlighted. This is particularly stunning when the sun goes down and you’ve chosen to add depth and interest to an otherwise common plant, tree, or sculpture. Shadow Lighting – also called “uplighting,” this entails lighting a tree or parts of your home from the bottom up, projecting shadows on the surface behind and creating an intriguing portrait of lighting on various surfaces. It maximizes and changes the scenery for more interesting viewing and a dramatic effect. Silhouette Lighting – also known as “back lighting,” uses shapes and objects to create drama and texture around your home and property. This technique combined with grazing, means a wall or surface is lit through the plants and foliage. Like an airbrushed painting, the plants and the structure are softened and partially cast in shadow, bathing that portion of your home in serenity. Uplighting – also known as “washing,” illuminates an object or tree from a distance below and from in front (rather than at the base). This makes the object or tree appear to be glowing and highlights the intricacies of the object. These lights can be tilted horizontally or vertically as the season or tree and plant life changes. Great for adding areas of strong lighting. 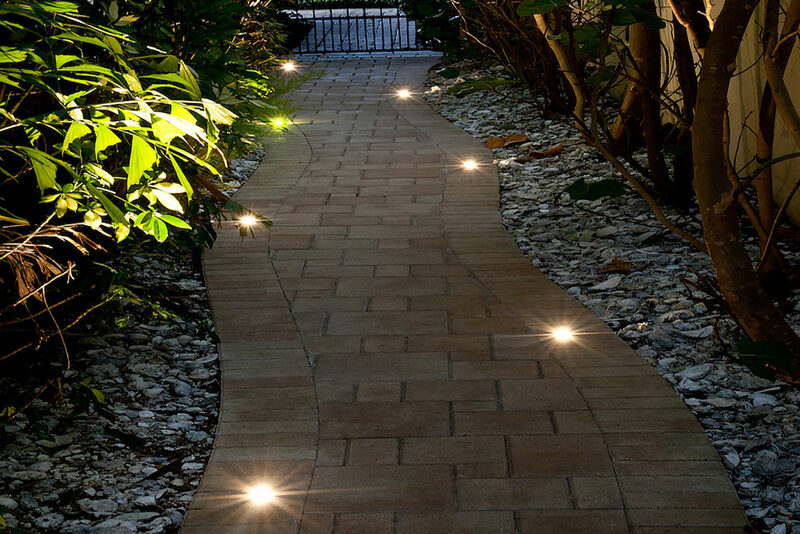 Area Lighting – light is projected from above on a large area like a driveway, pathway, or patio, that is used regularly during nighttime hours. It is also a good way to light up larger areas of plantings, shrubbery, and borders. Area lighting is a good option for security lighting and is perfect for residential, commercial, and industrial purposes. We know making your outdoor lighting ideas actually happen can be overwhelming, especially when you try to do it yourself or use a “friend” who dabbles in lighting. That’s why we are here to help! We offer a free expert design consultation that’s very thorough. 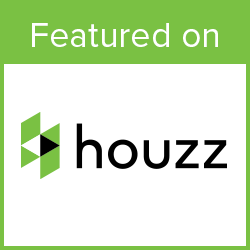 Once we tour your property and come up with options, we work with you and your budget to give you exactly what you’ve dreamed of having but weren’t sure how to have it! No pressure, no obligation.